I was taken aback by his question and admission. He is a taxi driver after all and this side of Shah Alam city is not exactly that big an area. We however found it eventually. 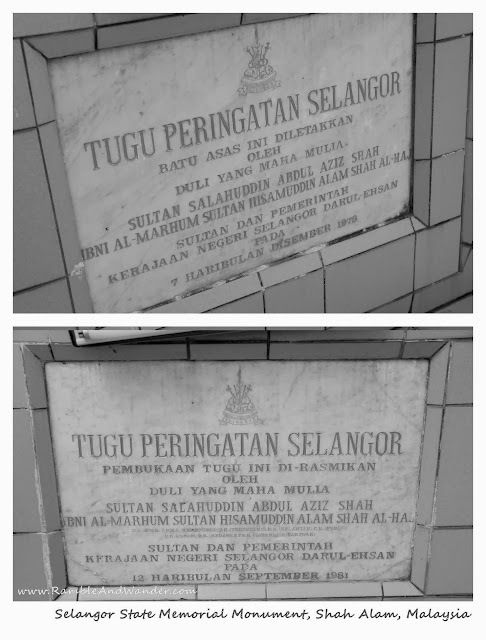 It turns out that Tugu Peringatan Selangor - Selangor State Memorial Monument - is on a hill not far from the main entrance to the State Secretariat Building. I paid the driver, got off the taxi and made my way towards the Monument. Memories came flooding back. The last time I was here, I had just started school. My family – my parents, great grandmother, my elder sister and younger brother – was on a road trip from our hometown in the East Coast state of Terengganu. We were sending off my sister to a boarding school in Seremban and a few days afterwards, the family, minus my sister, and plus an aunt, an uncle and 3 cousins, came here. The Monument was still new at the time although I had no way of knowing it then. I just thought it was a beautiful monument, with fountains lining the walkaway leading up to the Monument. My uncle, Ayah Ngah, was busy taking photos while my younger brother and I, together with our cousins, were more interested in jumping and running around, playing with water from the fountains and watching the airplanes flying above to the nearby Subang Airport. In between, we would stop to pose for photos. Other than us, there were quite a few visitors at the time. The place today however was void of people. There were cars parked nearby but all appeared to be visiting the State Secretariat Building. No one is dropping by to see the monument up close. No children running around. No water coming out from the fountains. I looked around the area for any signboard for information about the Monument. There’s none apart from two commemorative plaques to mark the laying of the foundation stone and the date the Monument was officially opened by the late Sultan, the father of the current Sultan. I spent a moment in silence. Today however it looks old. The commemorative plaques appear to be run down a bit. The fountains, without the water, somehow gave that lifeless feeling. Without a single soul around, the place looks deserted and lonely. Somewhat desolate even. 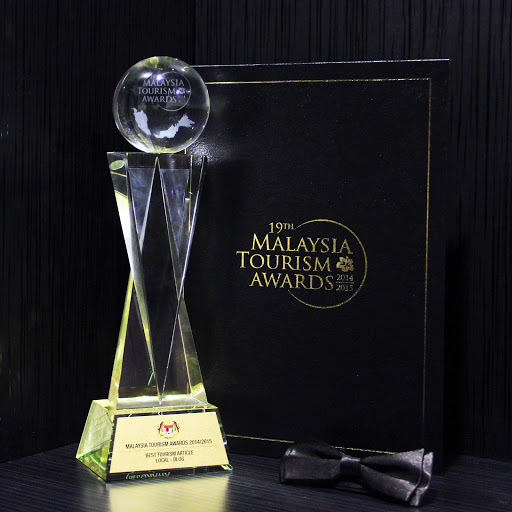 This is also an entry for #TSBreakAway's CANON Photo-Storytelling Challenge. A real good flashback. Used to play around here in the evening during my schooling days. Thanks, Azuan :-) I remember it as being "larger" but maybe it's because I was still small then, heheh!